If there was ever a reason for using the "Finally!" theme, it is for one of my favorite Memphis restaurants that I've taken too long to write about. Asian Palace is one of the best and most genuine Chinese restaurants in the city, something that most of my friends agree with. In fact, a former temp worker cohort inspired my first visit by eloquently exclaiming "Yo! 'Dem spring rolls is fresh!" (yep, true story). One of the reasons for Asian Palace's accolades is for its Dim Sum, which is (according to Wikipedia) "a style of Cantonese food prepared as small bite-sized or individual portions of food traditionally served in small steamer baskets or on small plates." In short, it's tapas Chinese-style that is traditionally served during the weekend, although Asian Palace offers a limited menu during the week. As one of the few restaurants in the city to offer it, I try to advantage of it whenever I'm in Memphis' Shelby Oaks neighborhood. During a recent weekend "temping" assignment, I got the full array of Asian Palace's Dim Sum menu. I started it off with plates of Chicken Feet, Steamed Pork Buns and Steamed Pan Fried Buns (somehow, that last one doesn't make any sense). The "chicken feet" were actually dumplings stuffed with meat (presumably chicken feet) that had the mushy texture of seafood while retaining some poultry flavor. Asian Palace's version of the poultry staple wasn't what I expected (I wanted "feet") but it was good nonetheless. The Steamed Pork Buns were doughy and a bit sweet, with a good amount of tasty pork in the center. A unique variation of a pulled pork sandwich, I'm surprised that I didn't see something like this at last year's Cochon Heritage BBQ competition at Beale Street Landing. 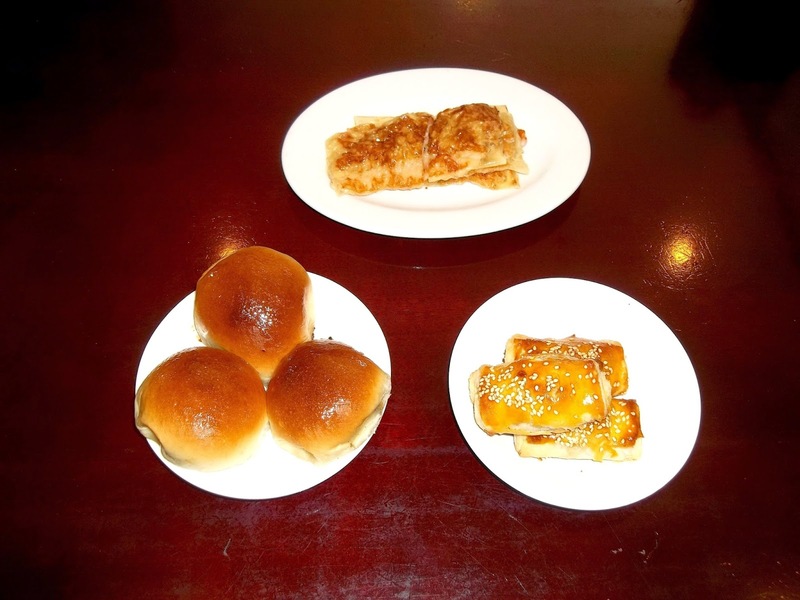 The Steamed Pan Fried Buns (steamed and fried? How is this prepared?) were nothing more than sweet pastries that work better as a dessert than as either a main course dish or an appetizer. 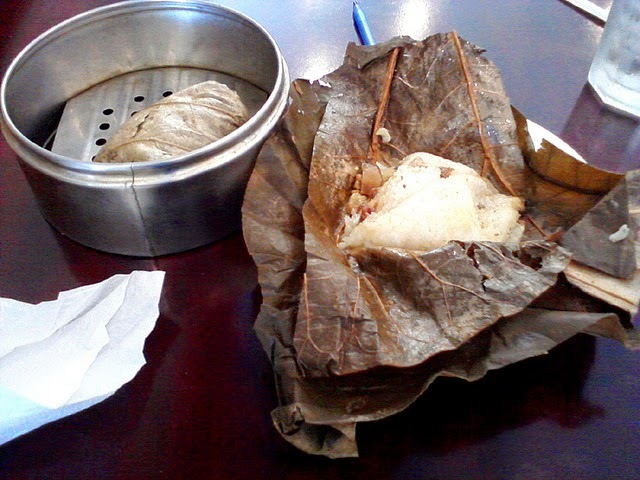 When the Dim Sum cart came to my table a second time, I got the Steamed Shanghai Dumplings. 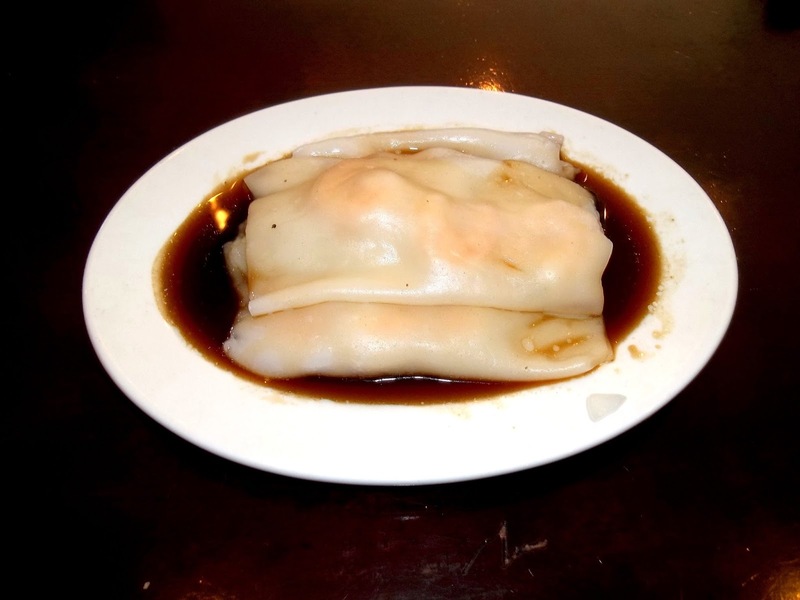 Stuffed with shrimp and immersed in what I believe was soy sauce, this Dim Sum dish was the best of my lunch. The shrimp was tender and flavorful, and I wanted to get another plate. Unfortunately, time and budget constraints prevented me from indulging further. For my third and final go-around, I got something that I was familiar with. 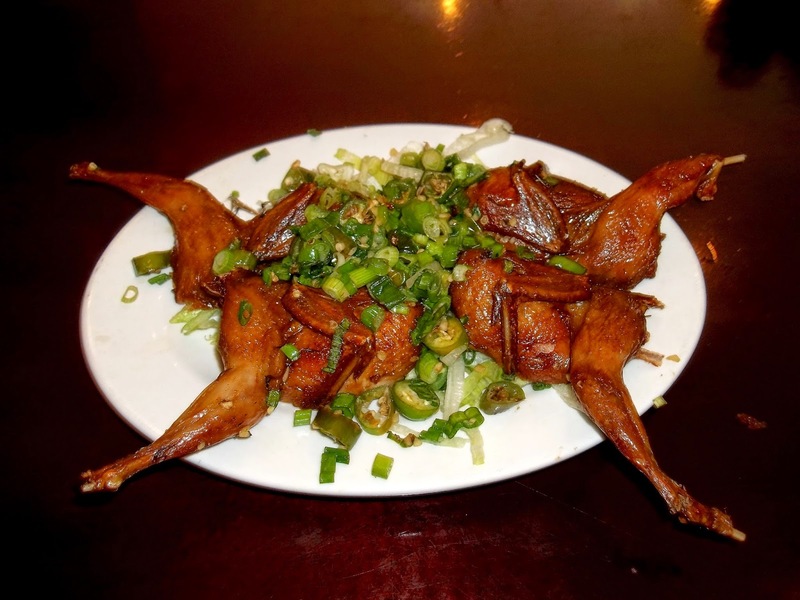 In getting the quail, I was curious about how I would like it as a Chinese dish. I have had it two other times in my life: as a roasted gourmet entrée at the former Lolo's Table (served by the lovely Alyssa, who is currently working day shift at Chiwawa) and a breaded and fried plate at Old Timers Restaurant in Millington. Asian Palace's version was fried (sans breading) and topped with lettuce, jalapeños and a lot of minced green onions. With me not being into raw onions, I separated them from the quail and ate the birds by themselves. In hindsight, I should have given it a try, for the quail didn't have the Asian pizzazz that I expected. I'm not saying the quail was bad, but I hoped for something more in line with the other wonderful dishes that I had at Asian Palace. If I was eating it as part of a blind taste test, I would've guessed it came from a Soul Food joint as opposed to a Chinese restaurant. Despite that minor disappointment, I was satisfied with the Dim Sum and I look forward to returning to Asian Palace for more of it. SIDE NOTE: The next time I go for Dim Sum at Asian Palace, I might take my friend John D. In addition to being a good dining companion, he's also fluent in Cantonese and possibly Mandarin (he taught English in China for a few years). With many of the restaurant's servers not knowing much English, having a translator could make things go a lot smoother with regards to understanding the menu. In addition to Dim Sum, Asian Palace offers many other wonderful dishes. 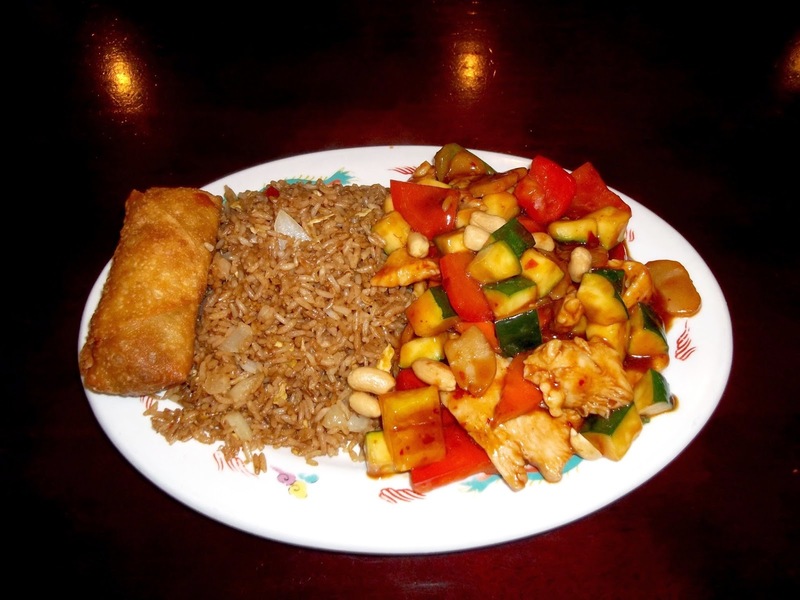 One of my favorites is the Kung Pao Chicken with fried rice and an egg roll. Loaded with tender chicken and lots of vegetables such as red and yellow peppers, the entrée is very spicy yet delightfully delicious. It's even better with the fried rice that has bits of scrambled eggs and onions that make it very good on its own. Throw in a good egg roll into the mix and you have an extremely scrumptious meal that will have you coming back for more. One of the Best Beer Stores in Town (and the food is good, too)! In another effort in fulfilling goals set in the past, I've finally gotten around to talking about Raffe's Deli. Like my last post about The Silly Goose, this doesn't qualify as a "Finally" themed review because it was never a top priority for the blog. However, because of unique circumstances that required my attention in East Memphis, I took an opportunity to follow up on something that I started 3½ years ago (if foursquare...errr "Swarm" (an unneeded evolution of the app) is correct). For my first visit to Raffe's in years, I thought about getting a sub or some other type of sandwich. But with the likelihood that my next visits being far down the road, I made the most of my lunch by getting something unusual as it relates to the blog. I got a gyro with a Middle Eastern twist, something that doesn't have the typical Greek tzatziki sauce that usually is associated with it. 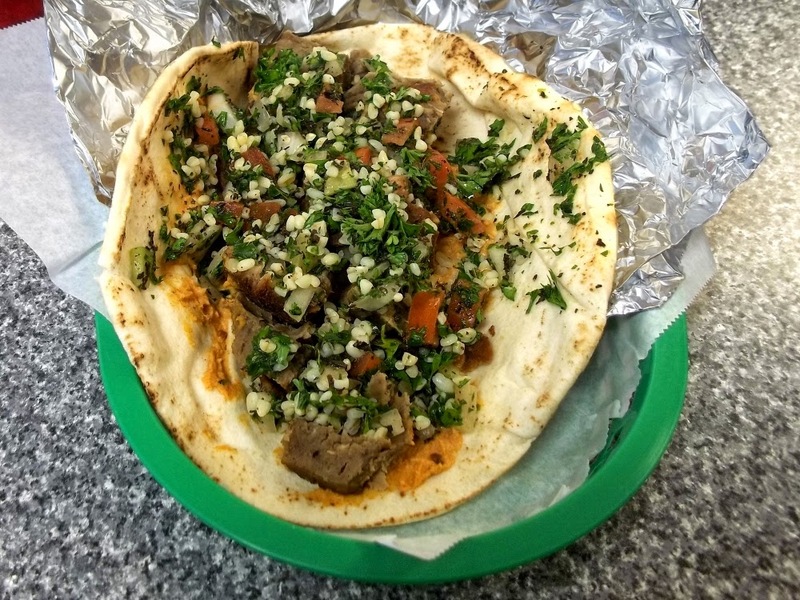 Instead, along with the vertically roasted lamb, the Syrian Gyro has hummus and a mix of vegetables, herbs and spices. Collectively called a tabbouleh salad, it mainly consists of parsley (a lot of it), chopped tomatoes, mint, onions and bulgur, a grain indigenous to Syria and other countries near it. According to Wikipedia, bulgur has more fiber, protein, vitamins and minerals than white rice, meaning it is a healthier alternative. Within the tabbouleh salad, the bulger is one of many components that make the gyro salty and zesty, balanced by the sweetness of the lemon juice in it. Overall, I like the Syrian Gyro because it is savory and much healthier than what I normally eat. For anyone looking for something different yet tasty, I suggest giving the pita sandwich a try. SIDE NOTE: The tabbouleh salad is available as a stand alone entrée and is one of Raffe's vegetarian dishes. Speaking of that, the deli's "grape leaves" (aka sarma, not to be confused with dolma) is another vegetarian/vegan dish that is worth trying. The leaves are stuffed with rice and herbs and boiled with lemon juice and served with tzatziki sauce or a yogurt. By the way, sarma isn't technically a vegetarian dish, for it's traditionally stuffed with minced meat like beef, pork and veal. Although I haven't had the Middle Eastern dish at Raffe's, I had a plate of them at Sean's Cafe several years ago that amounted to an interesting experience. From what I could remember, the stuffed grape leaves were decent despite being a bit bland without the tzatziki sauce. Of course, I'm not prejudging Raffe's sarma but it's something that I will keep in mind if and when I get them. 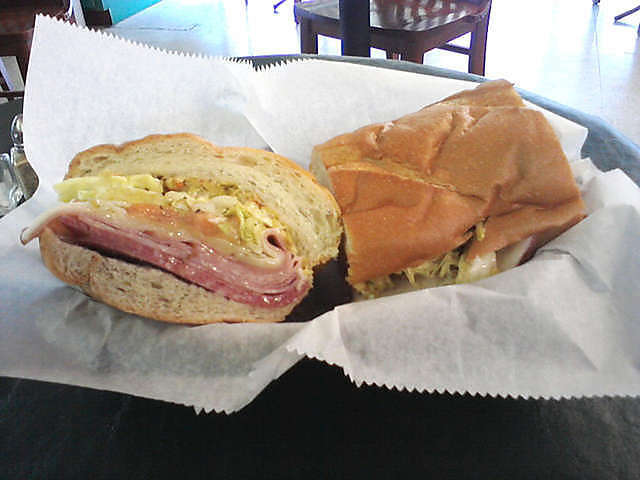 The muffaletta that I had during my last visit was pretty good, too. For some reason, I thought it would be bigger (when comparing it to sandwiches from places like Kwik Chek). However, the muffaletta was hearty enough to satisfy my appetite, even without sides like potato chips. It has the usual stuff like salami, ham and cheese (in this case, Provolone). However, the one ingredient that really makes it tasty is the olive salad dressing with its strong and robust flavor. Compared to other muffalettas that I've had, Raffe's version is one of the better ones. 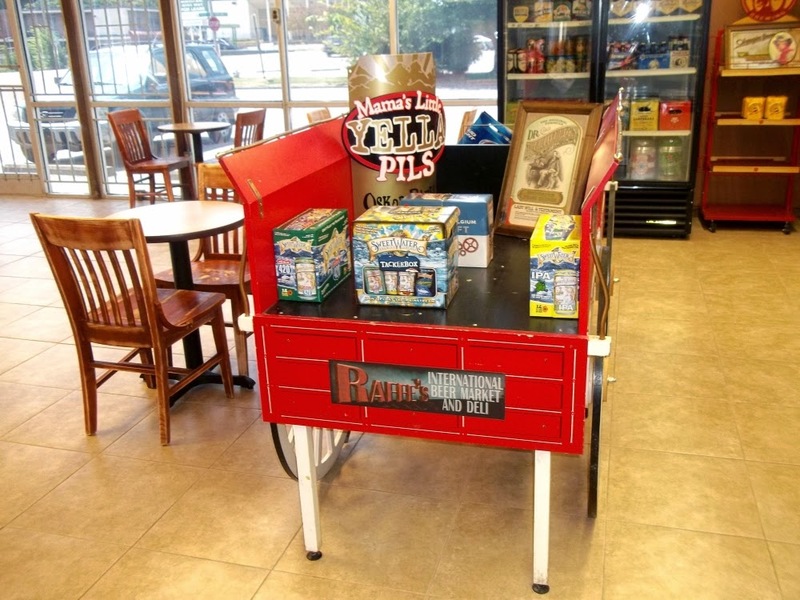 Lastly, I want to mention the wide variety of craft beers that Raffe's Deli offers. Whether you're looking for something local or an exotic export, it's likely that Raffe's has it. Among them are beers from Rogue Ales that includes the yummy Hazelnut Brown Nectar. However, it's hard to offer everything to everyone (for example, the deli doesn't carry Rodenbach, a Flemish sour ale and another favorite that's sold at Cash Saver and bars like The Flying Saucer) but a beer lover can get a lot of satisfaction from Raffe's offerings. By the way, any beer bought at the deli can't be consumed on the premises, but that shouldn't be a problem for most (although Lucchesi's Beer Garden next door can meet the need for instant gratification with its beer menu). 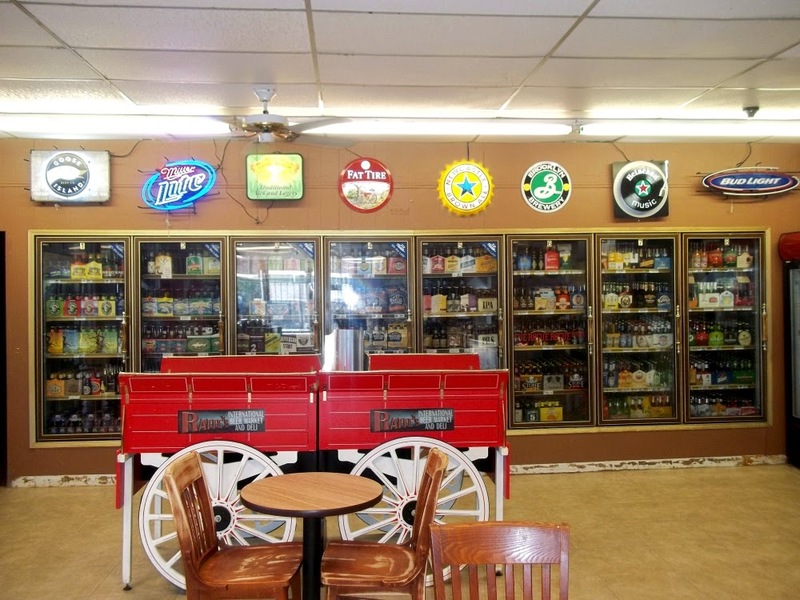 Regardless of whether you want food or beer, Raffe's Deli has you covered. Owner Sean Feizkhah (who's not involved with Sean's Cafe) is doing a great job with the deli and has big plans for its future. According to the Memphis Flyer, he plans to expand the menu to include Persian (Feizkhah is of Iranian descent) and Turkish fare and add a growler (as in a big jug) station to sell beer by the gallon. Given the improvements that he's already made in terms of the deli's decor, I'm confident that he'll transform it into something sensational.